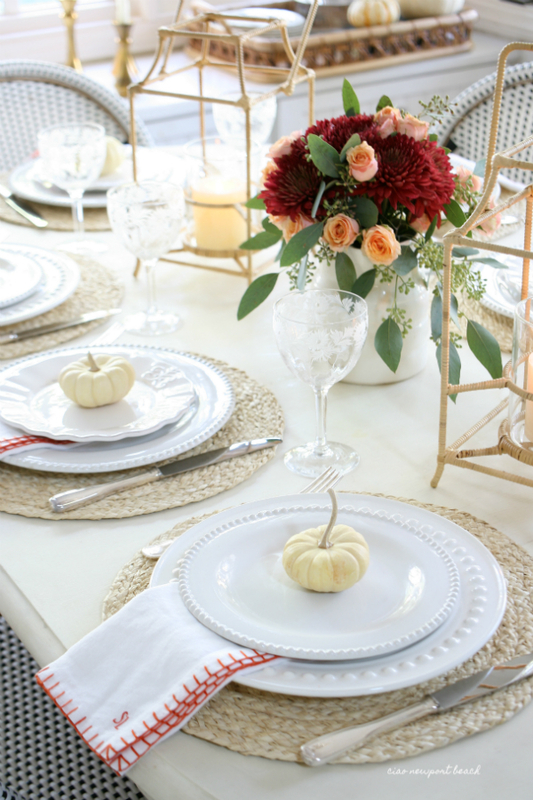 brass candlesticks are simple elements that work perfectly with the tablescape. Do you get sentimental about the year ending? Somehow, the passing of another year seems a little sad, but for me it’s ultimately overshadowed by the thoughts of what the new year will bring. 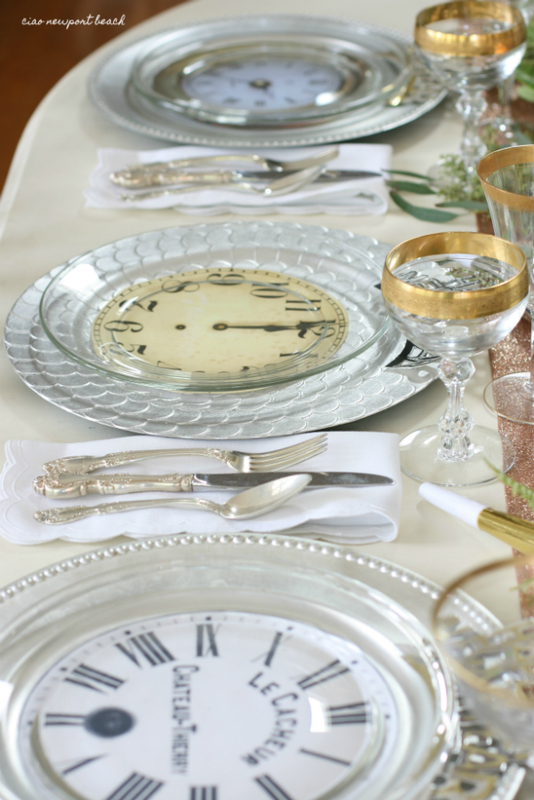 To celebrate the incoming new year, I love to set up a lovely table that celebrates the passing of time. 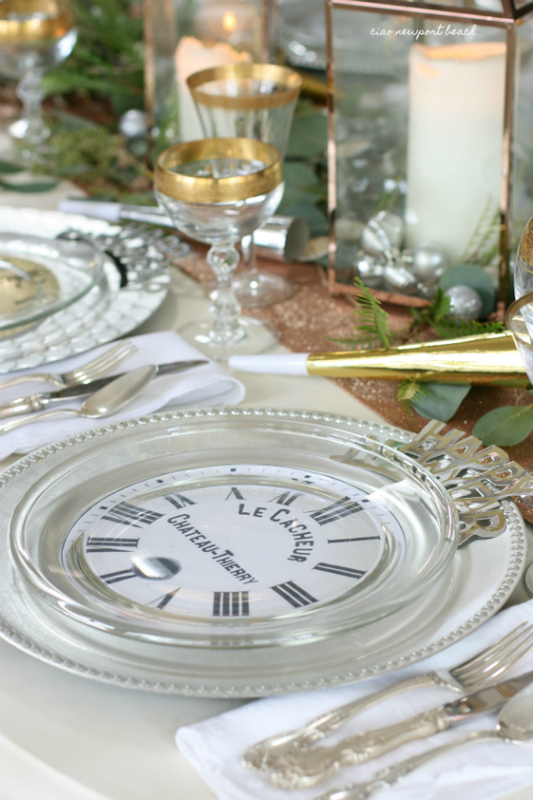 Time will definitely be on your side with a table set with festive clocks, glittery details and mixed metals. 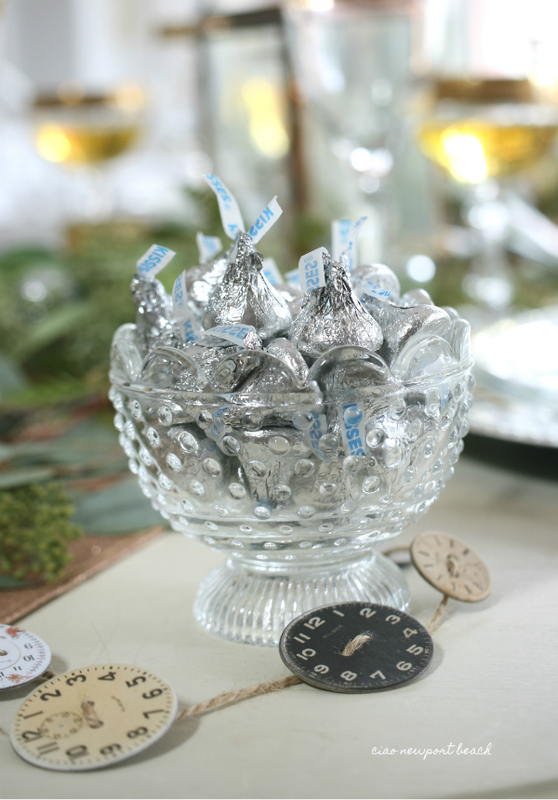 That’s what it’s all about when decorating for New Year’s Eve! 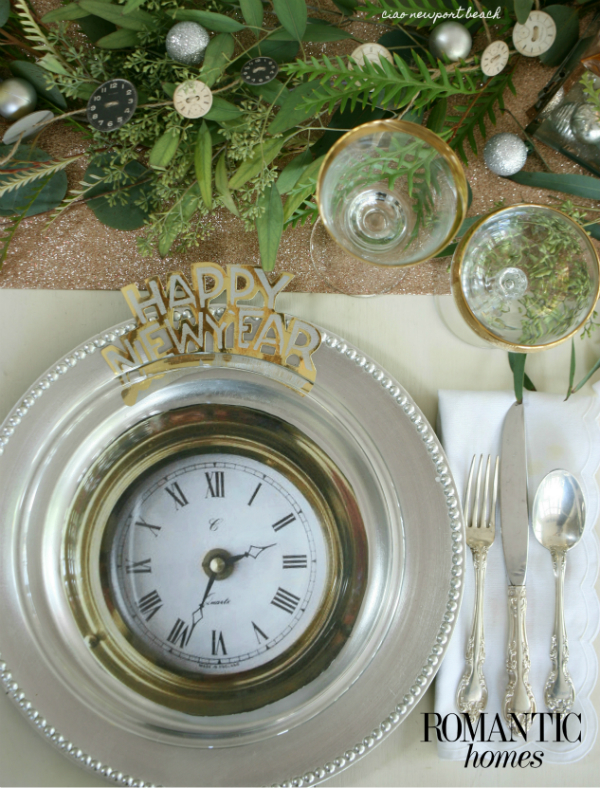 Everyone will want to ring in the New Year surrounded by opulence, and an upscale end-of-the-year dinner party like this is so easy to put together when you start with an amazing tablescape like this. and a glittery rose gold table runner. 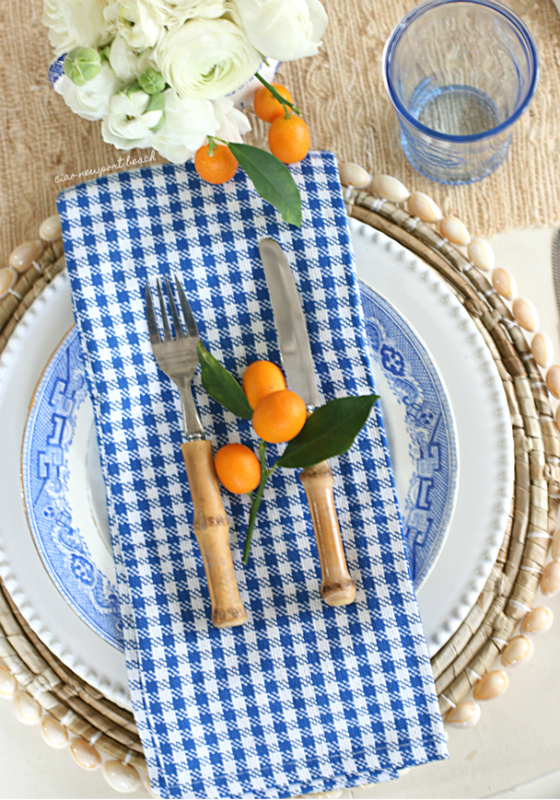 These fun clock plates are a cinch to make! 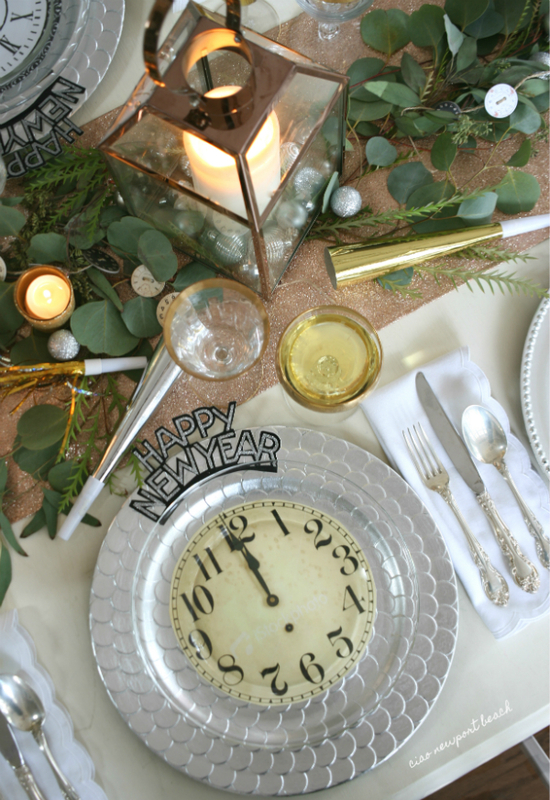 Clear glass dinner plates, silver chargers and a selection of pretty paper clock faces are all you need to create this festive party idea. 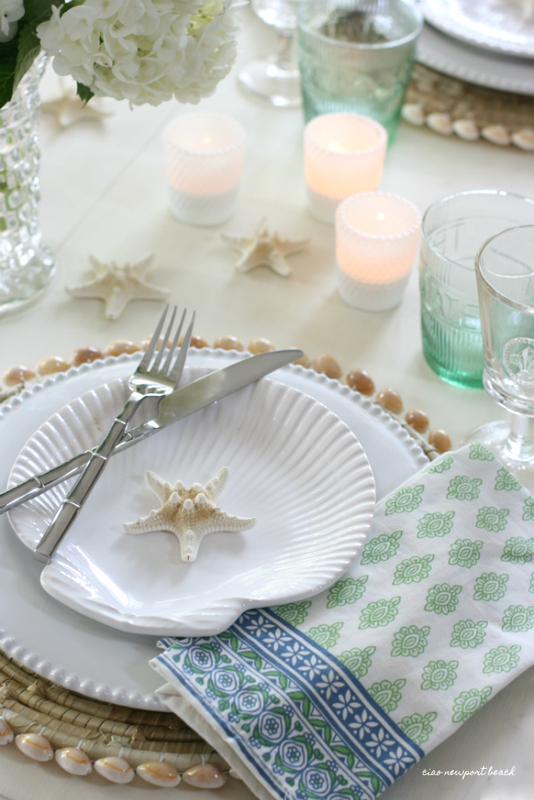 Simply layer the paper clock cutouts between glass plates and silver chargers. 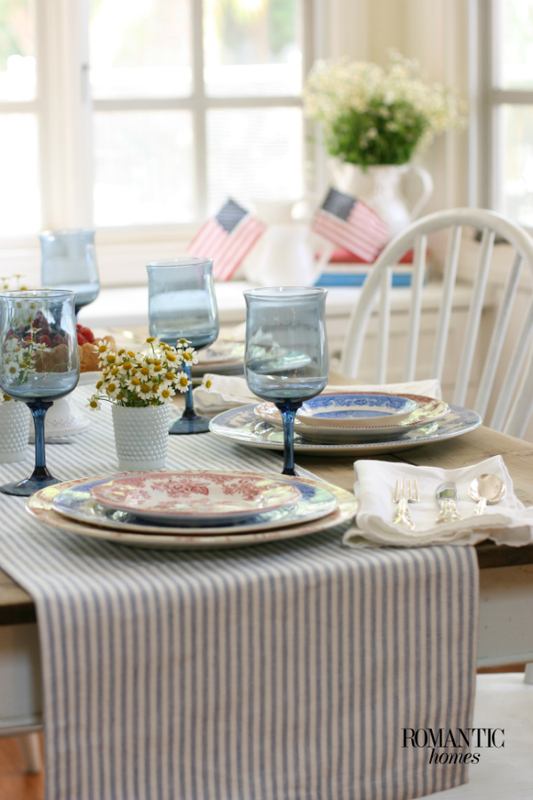 Don’t be afraid to mix and match plates, glasses and other tableware. 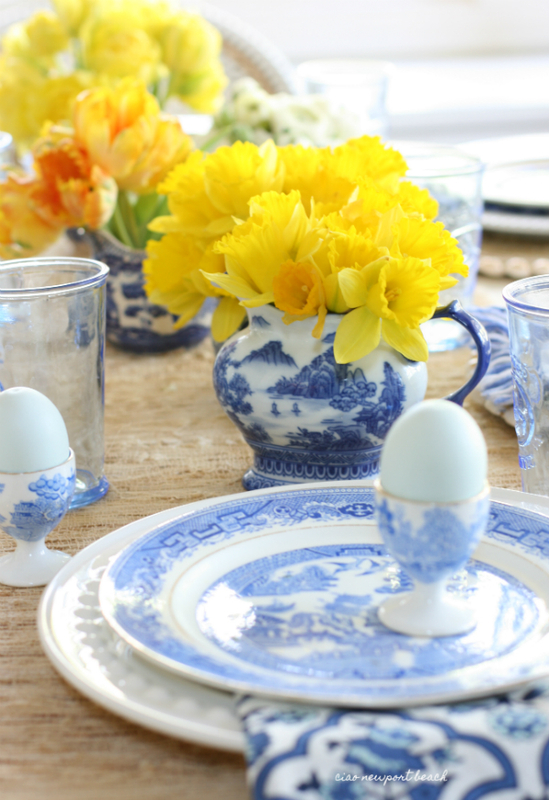 It only adds to the interest of the tablescape. to indulge in some decadent chocolate treats. All that glitters is not gold. 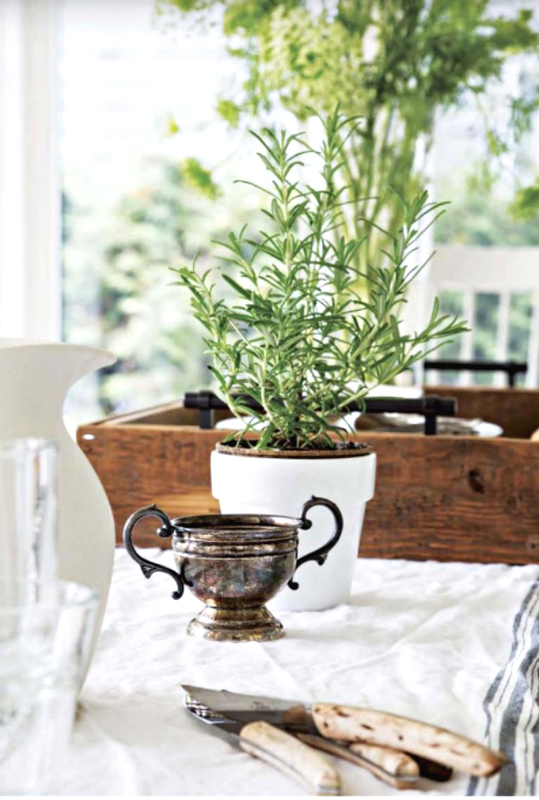 Don’t stop at one metallic element for your table. 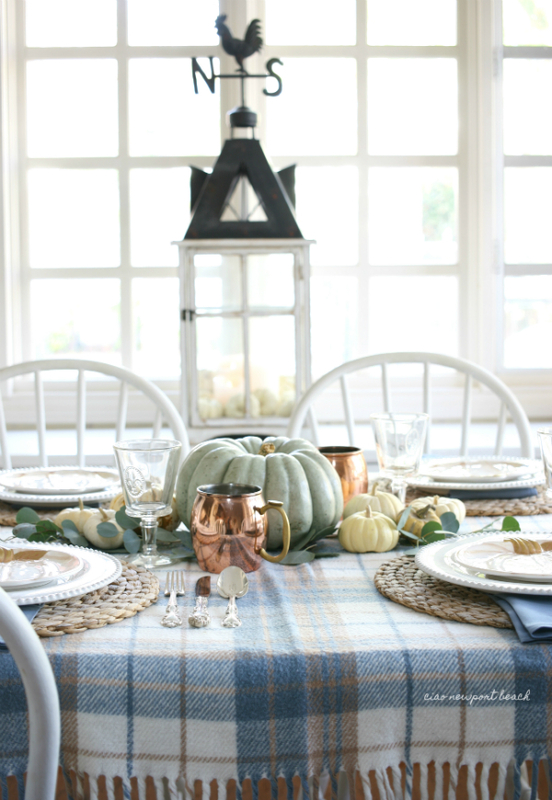 For this tablescape, I’ve selected a mix of gold, silver, copper and rose gold accessories. 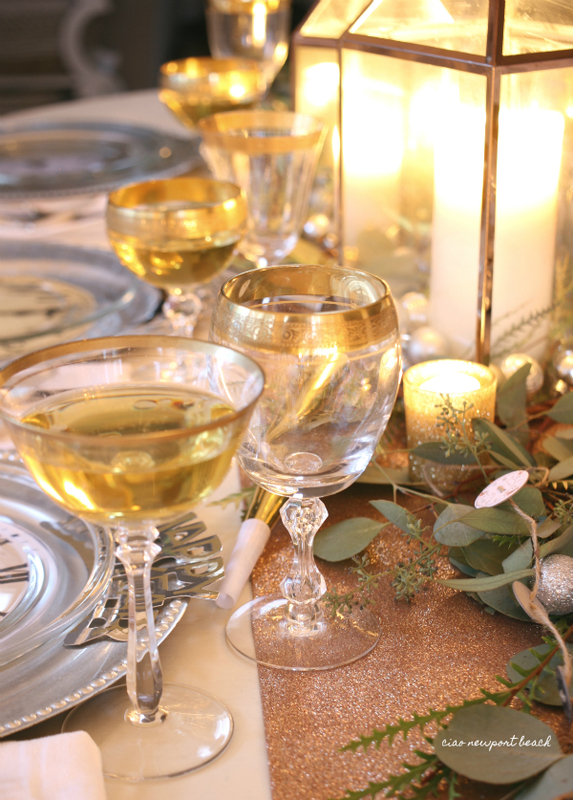 This combination of metals creates that opulent look everyone loves on December 31st! 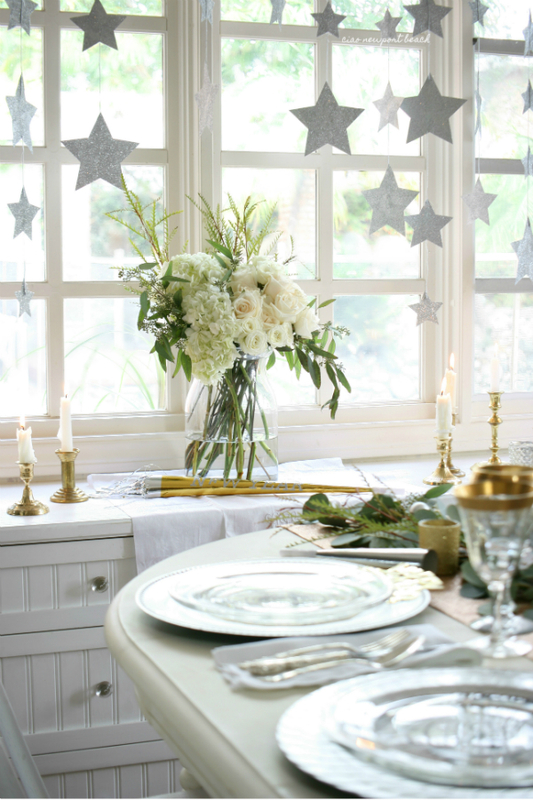 they’ll enjoy a fun and festive New year’s eve table. 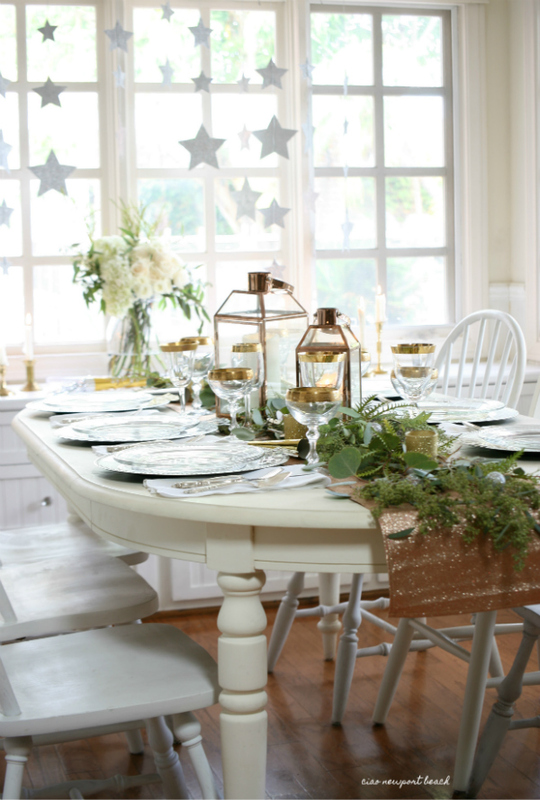 Copper lanterns and glitzy votives provide this table with just the right ambiance, while vintage brass candlesticks and elegant white tapers create a luminant backdrop. 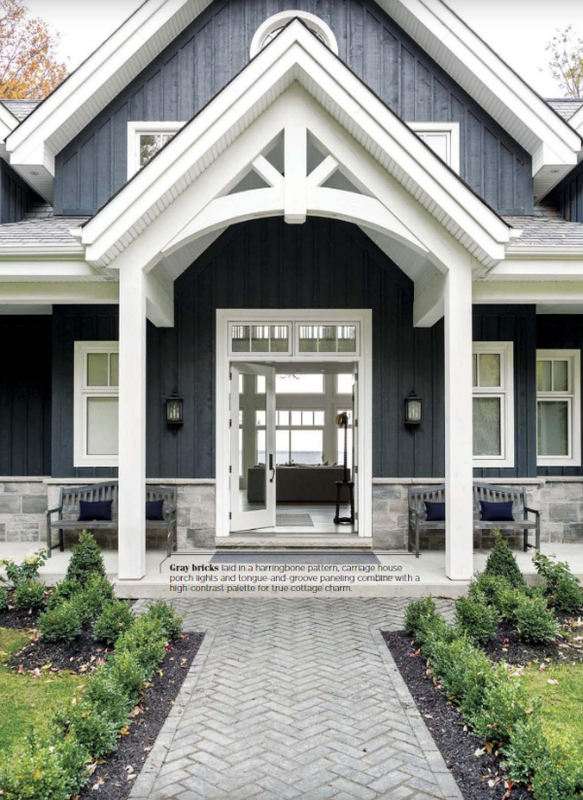 You can read the whole story and see lots more pictures in the January 2019 issue of Romantic Homes magazine. 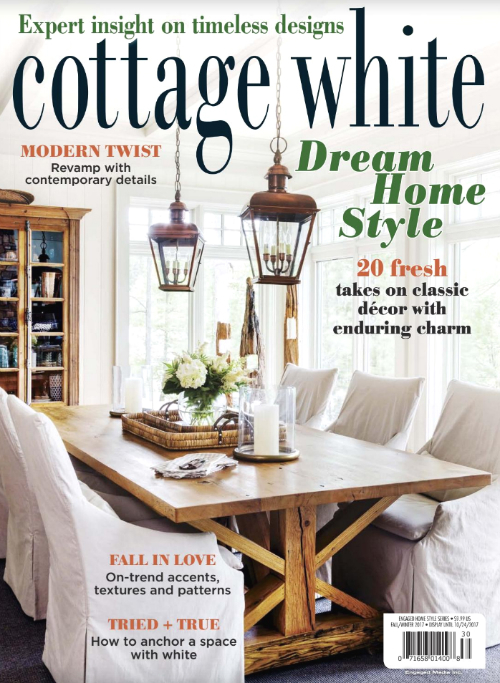 This edition is filled with so many beautiful photos and inspiration from some of my favorite bloggers like Jamie from “So Much Better with Age”, Amy from “Maison de Mings” and Jo-Anne Coletti who also shot the cover. 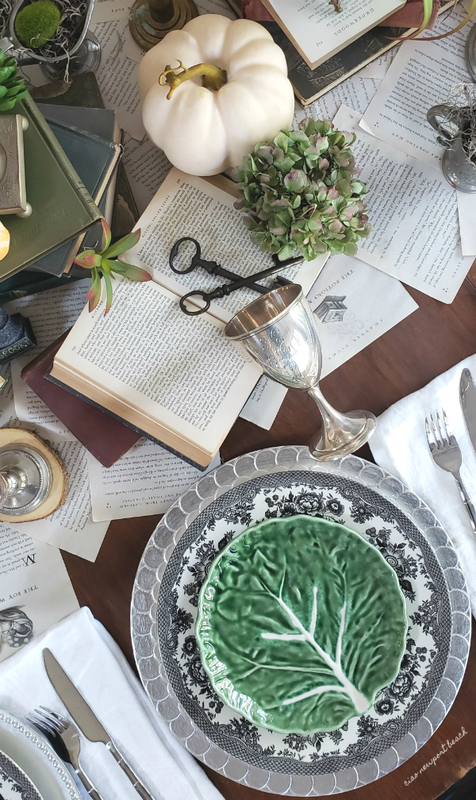 I thought I’d finish off the year with my favorite tablescapes from each month of 2018. 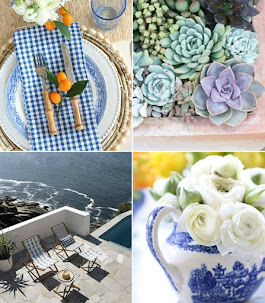 As you know, I love setting an interesting table, so today I wanted to share a little overview of some more interesting ones that I shared with you all throughout the year. 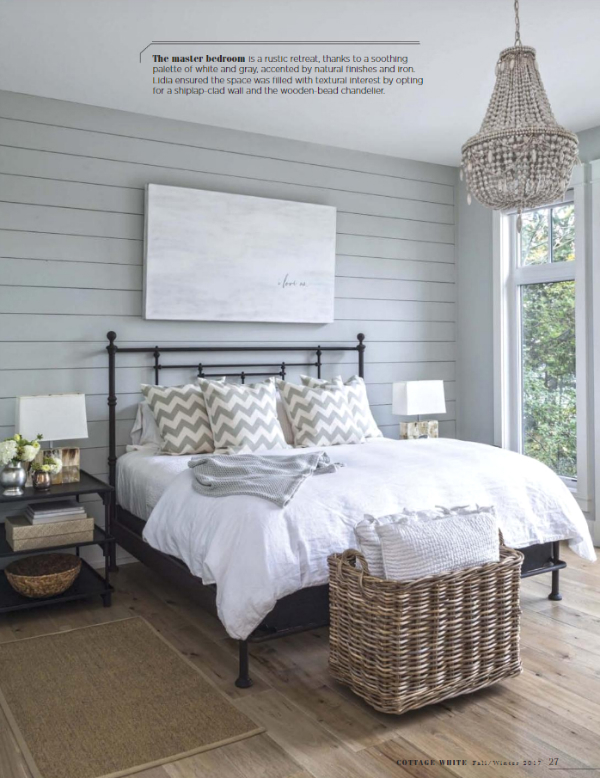 At the end of this post you can vote for your favorite! and you all inspire me every day! 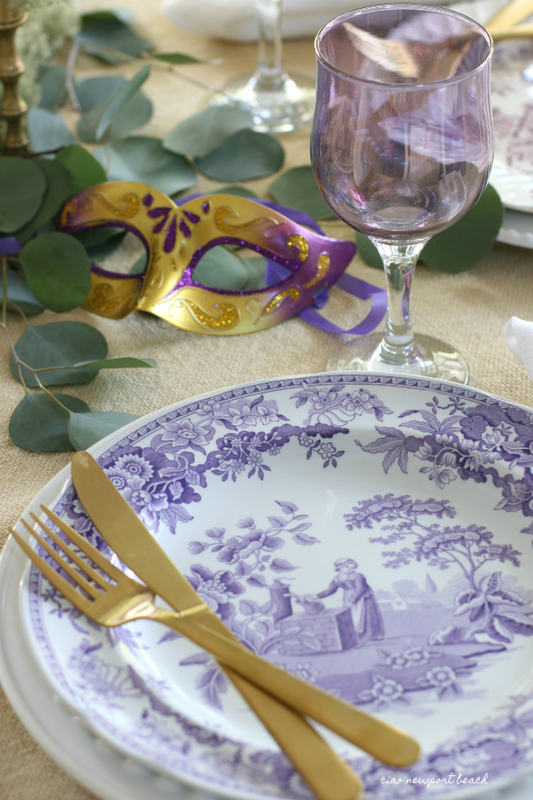 Which tablescape was your favorite? 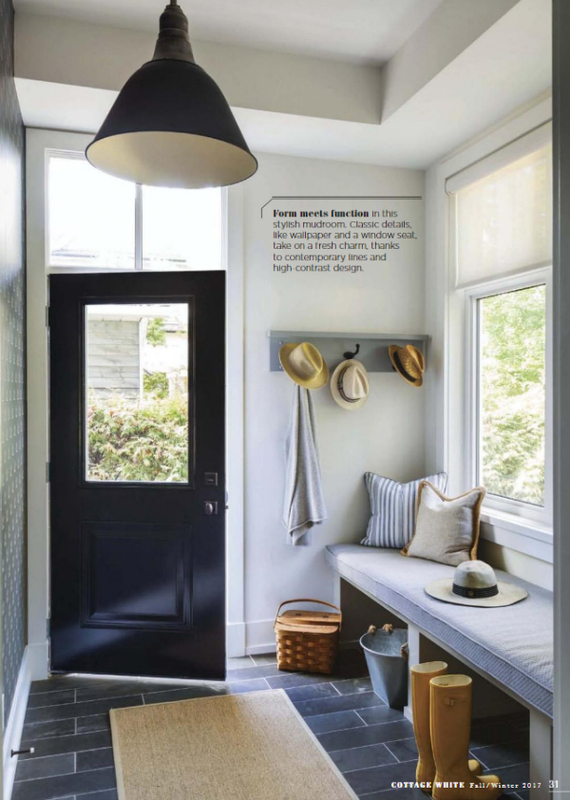 Do you ever have a certain magazine that you just keep going back to for inspiration and ideas? 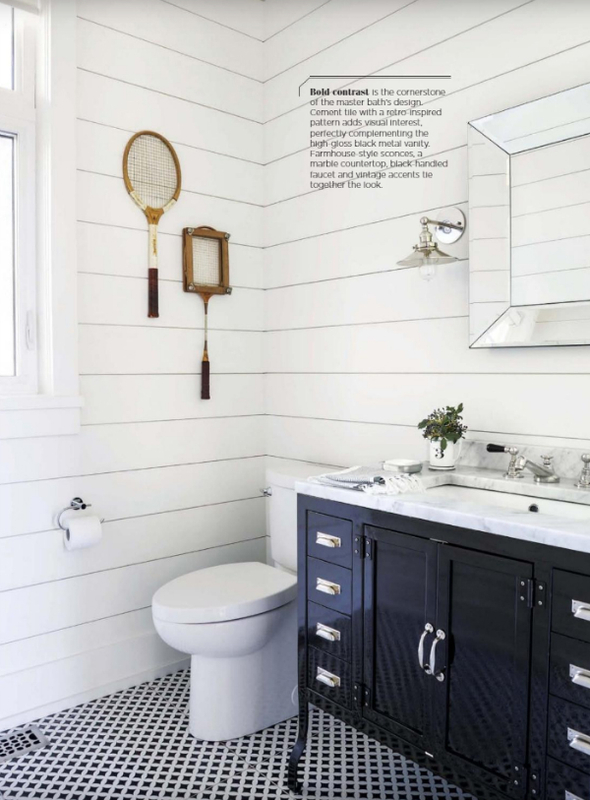 I have a few that I keep in my current stack of magazines, and this one proves to be timeless! Don’t you just love this week that's snuggled between Christmas and New Year’s? It’s sort of a much-needed recovery week after all the festivities. What do you have planned for the rest of the year? 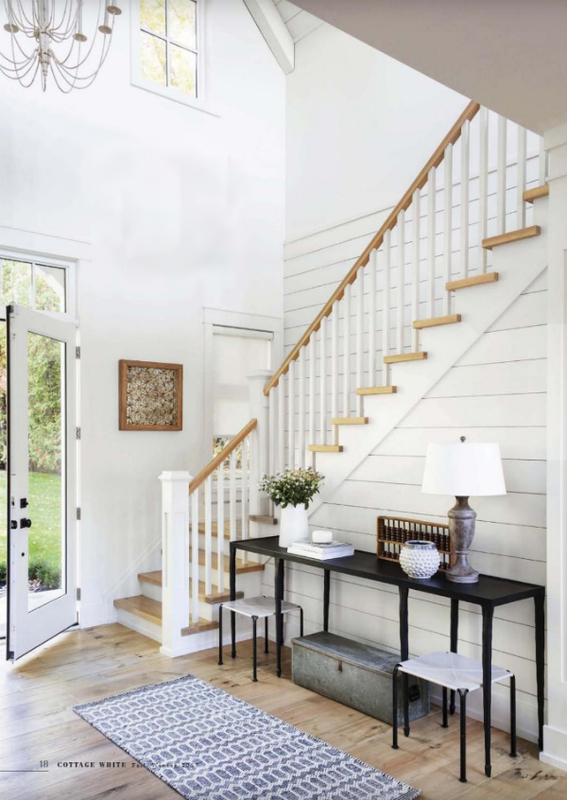 We generally stay in town during this time, with maybe an overnight getaway to the mountains or somewhere in San Diego, like La Jolla or Coronado. Nothing planned yet, but we might rally and pull something together! I do like to cook when it gets cold out like it is now. It is 53 degrees out at the moment, but there’s a really chilly northern wind blowing! 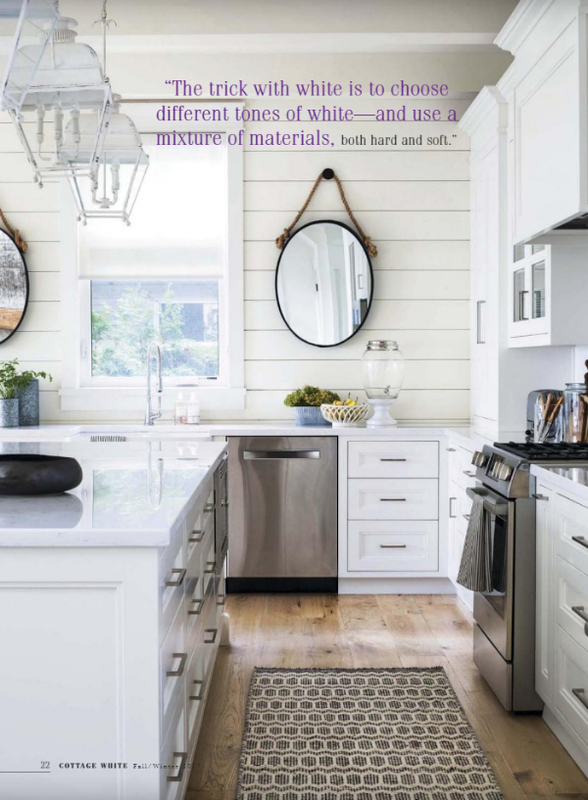 I love how turning on the oven and baking something yummy just warms up the whole house and creates a cozy aroma that makes you just want to cuddle up by the fire and hibernate! 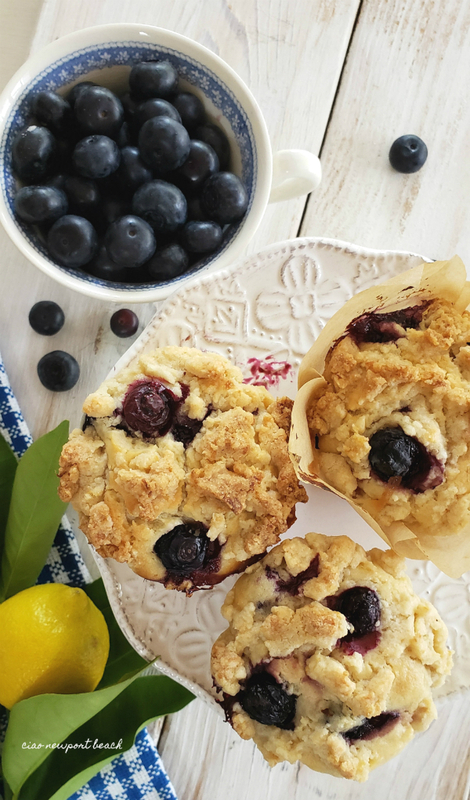 The upcoming weekend is the perfect time to bake some fresh blueberry muffins. 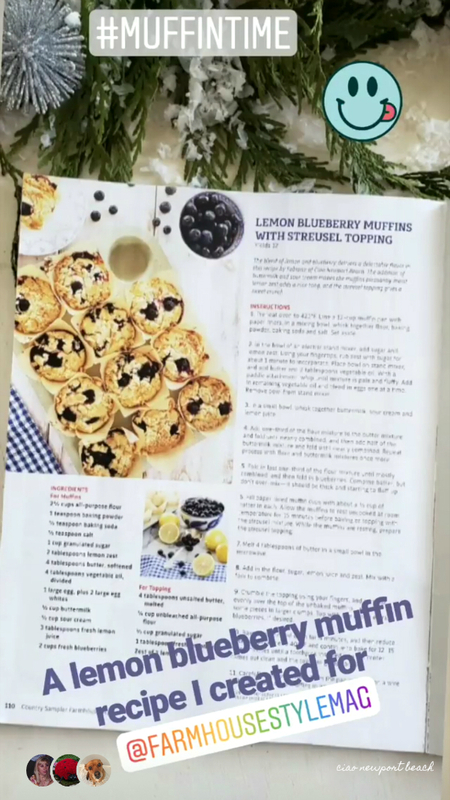 This recipe for Lemon Blueberry Muffins with Streusel Topping is one I created exclusively for Farmhouse Style Magazine and is set to appear on newsstands in the next few weeks. I can’t giveaway the recipe just yet, but I can tell you the texture of these muffins reminds me of the most delicious pound cake. 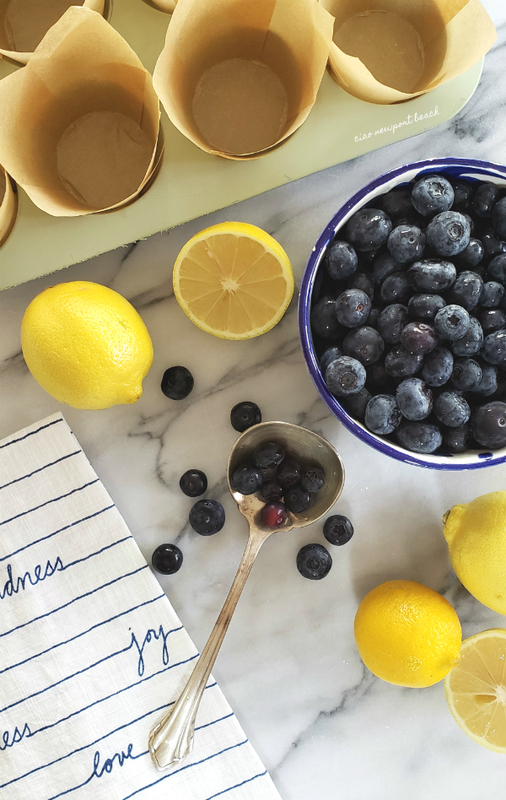 You see, they’re baked with sour cream and buttermilk to extract the most decadent flavor from the blueberries and lemon zest! 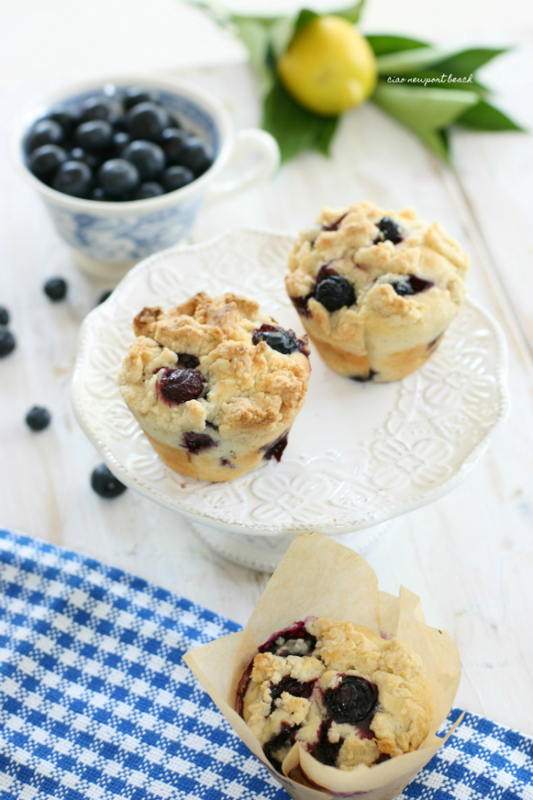 The muffins are then topped with a crunchy streusel topping and baked. I combined four different recipes to create this one, because I envisioned a perfect combination of certain ingredients and of course this amazing crunch topping! 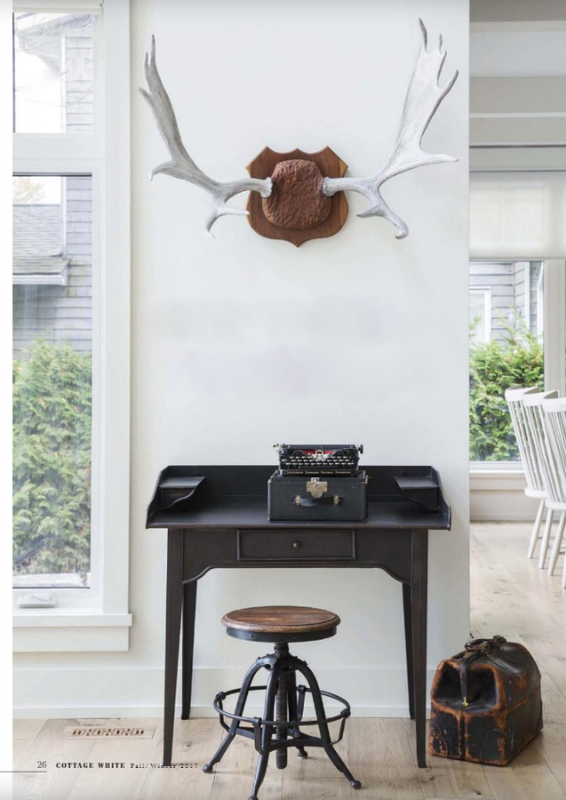 Also in this issue of Farmhouse Style is a really unique idea for a pillow. 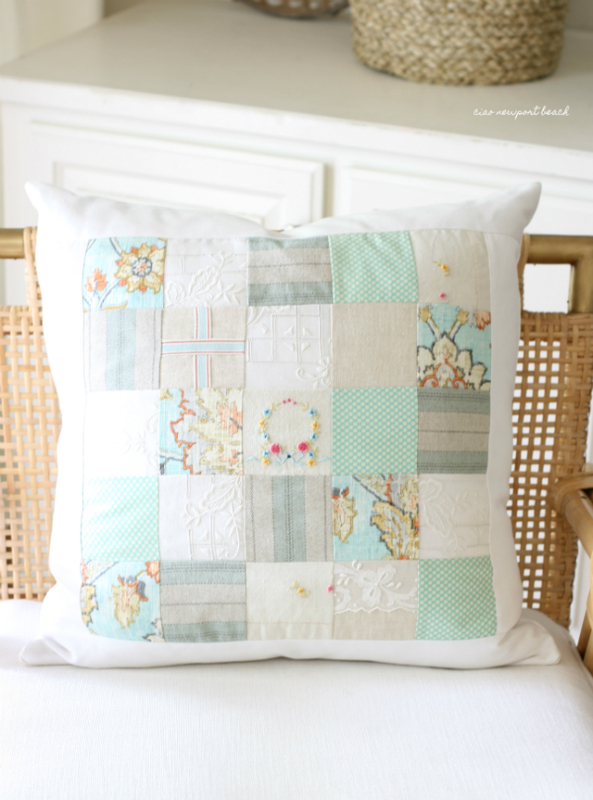 My friend Brenda Kristine created this gorgeous patchwork pillow from remnants of beautiful vintage linens! 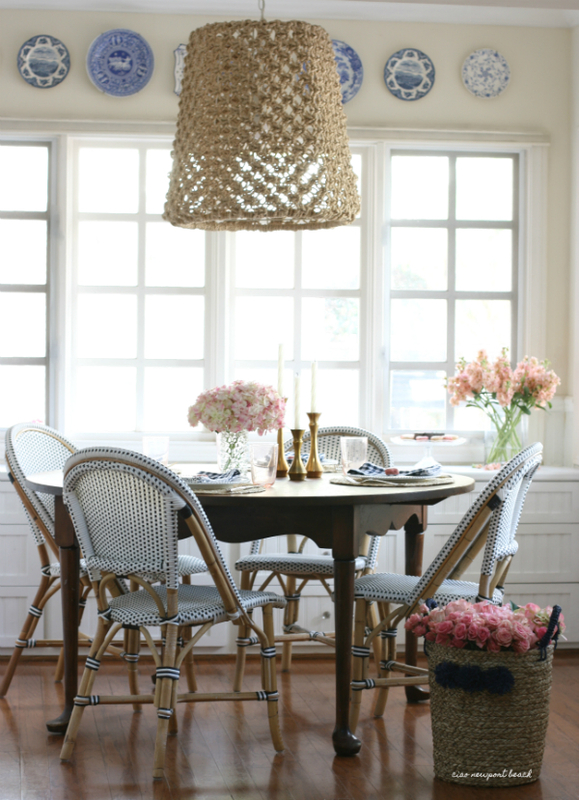 You can see all the details here on my favorite Serena & Lily Mattituck chair that sits in my family room. 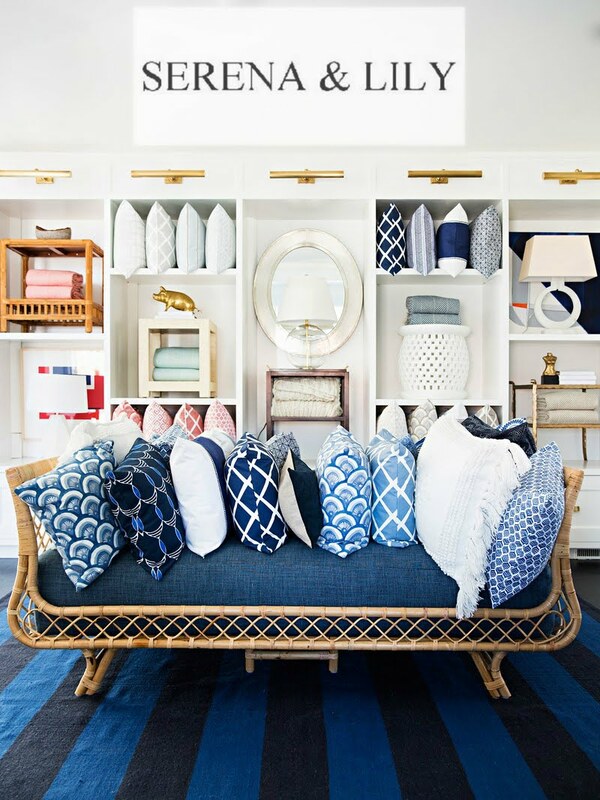 Isn’t the pillow just divine? 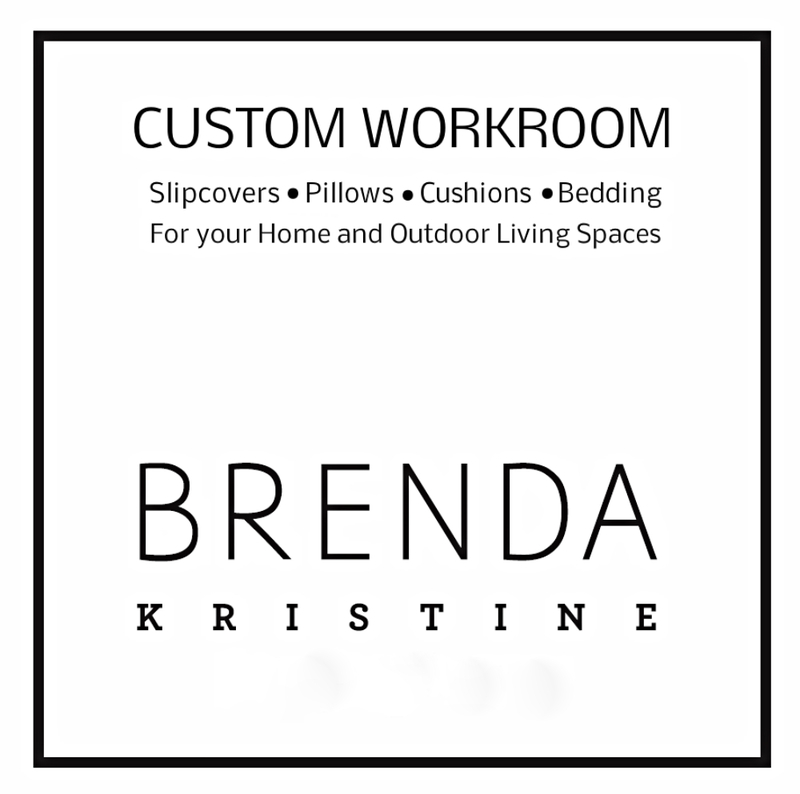 Brenda’s so creative! 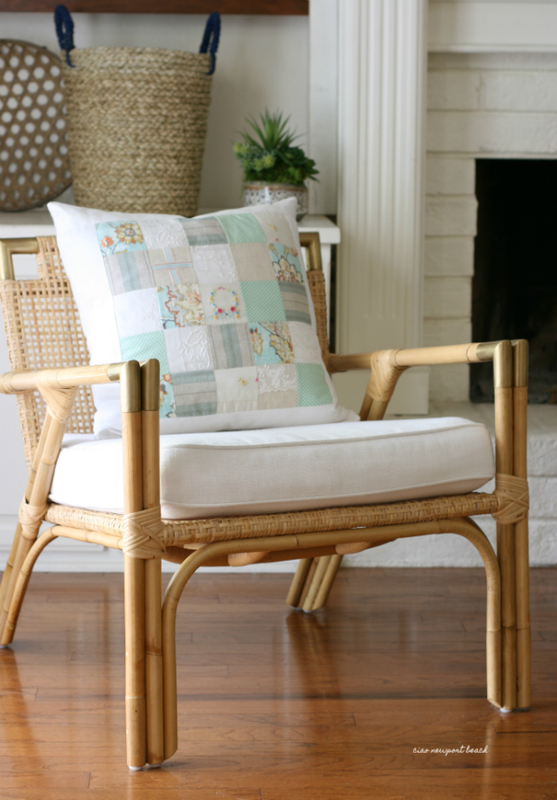 of how she puts these amazing patchwork pillow together! 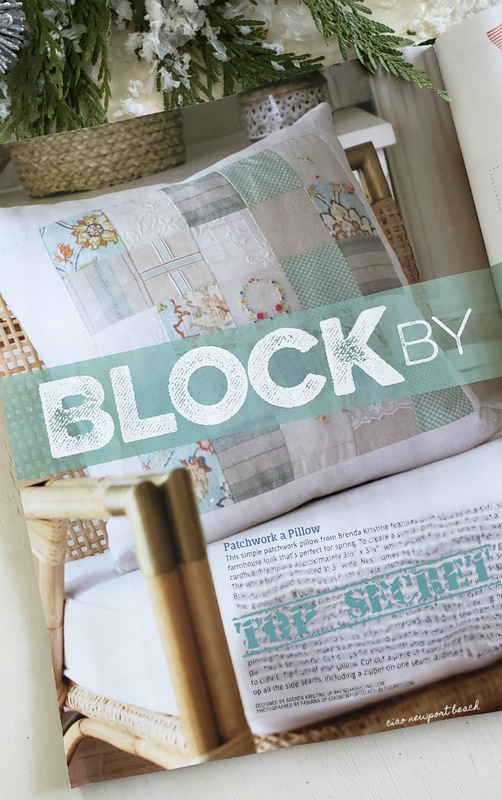 Here’s how it appears in the magazine among other fun patchwork DIY projects. 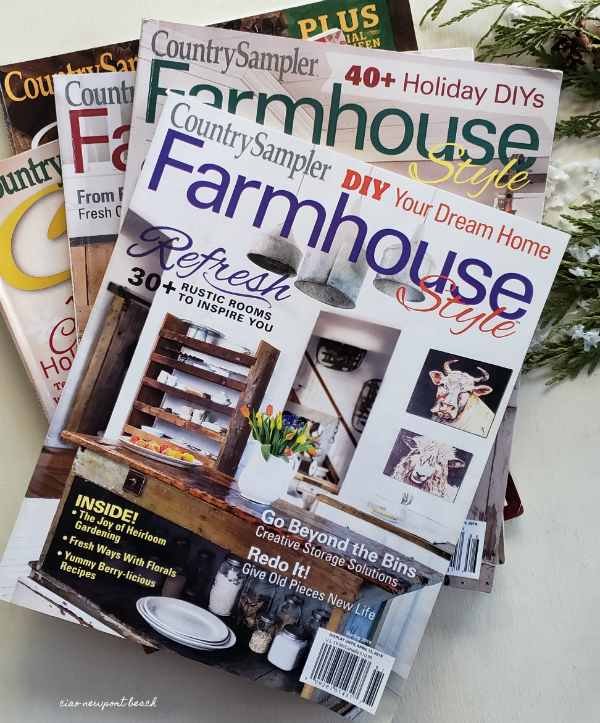 Look for the Spring issue of Country Sampler Farmhouse Style next month for an issue filled with lots more inspiration and decorating ideas! I’m so thankful that during the past year I’ve been able to collaborate with the most amazing magazines and editors in the design world. It’s really a dream come true! 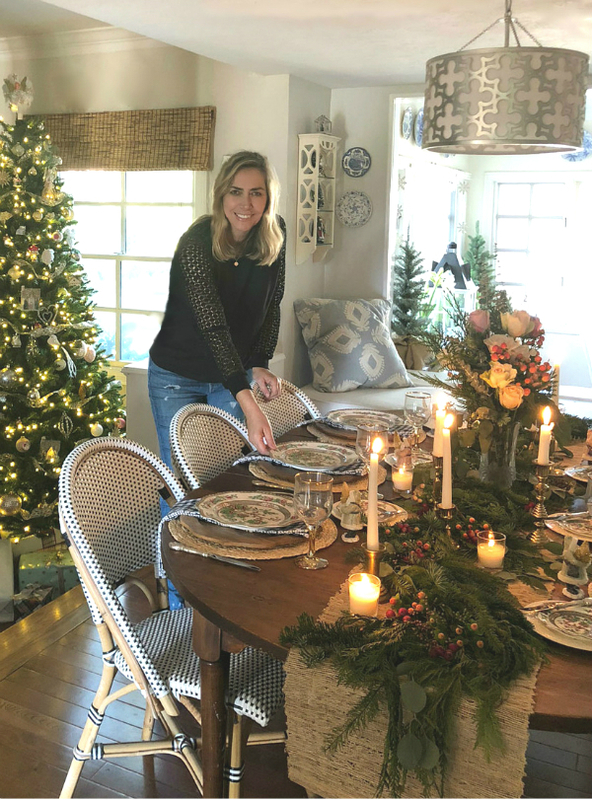 I'm looking forward to 2019 and creating more yummy recipes, fun tablescapes and decorating ideas. Thanks so much to YOU for traveling this creative journey with me, and remember I LOVE to hear your input and what some of your favorite themes are! 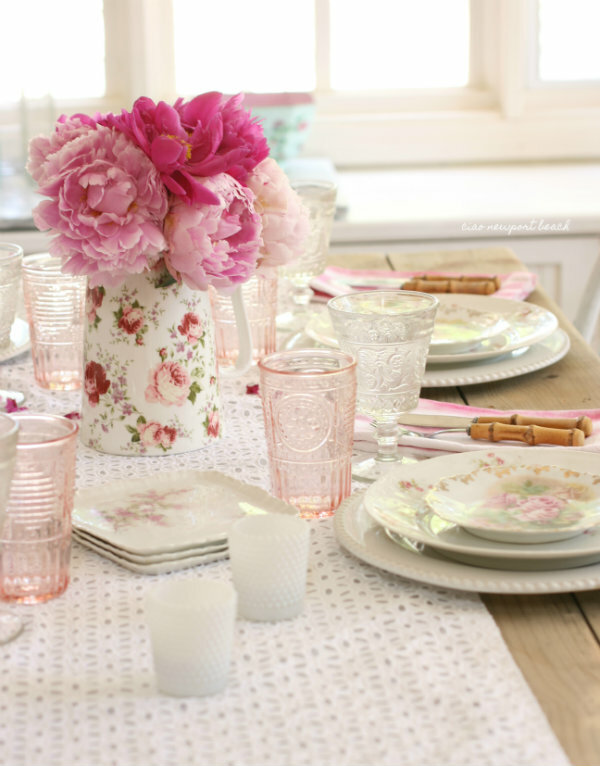 I’m sure this weekend will be busy for us all, with last minute shopping, wrapping and party-prepping! 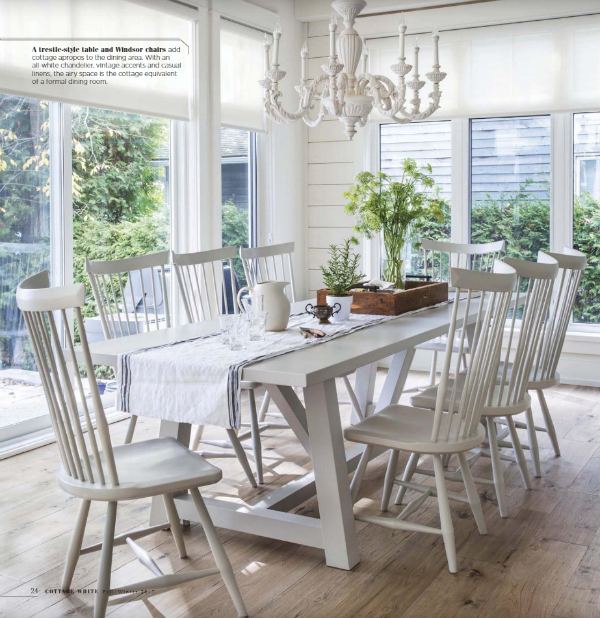 I just received a couple of extra tester shots from our photo shoot last week with Cottages and Bungalows Magazine. 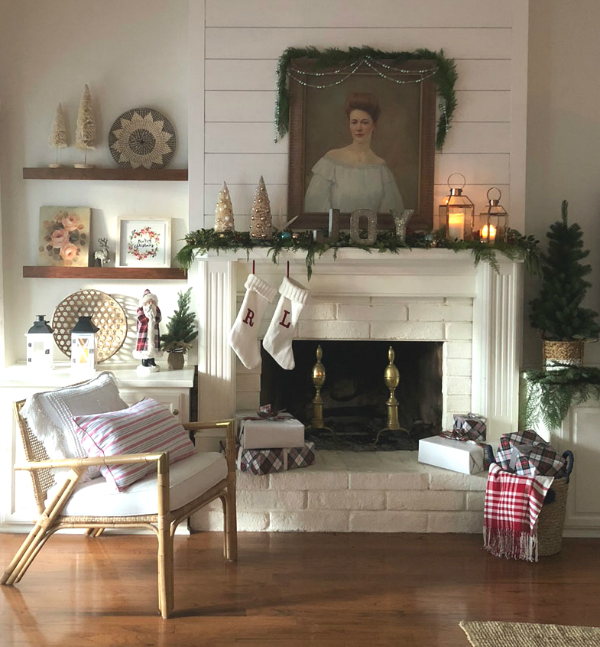 The first photo is a little pre-setup that ultimately got tweaked a little bit for the final photo, but this is the basic vibe of the family room mantle. 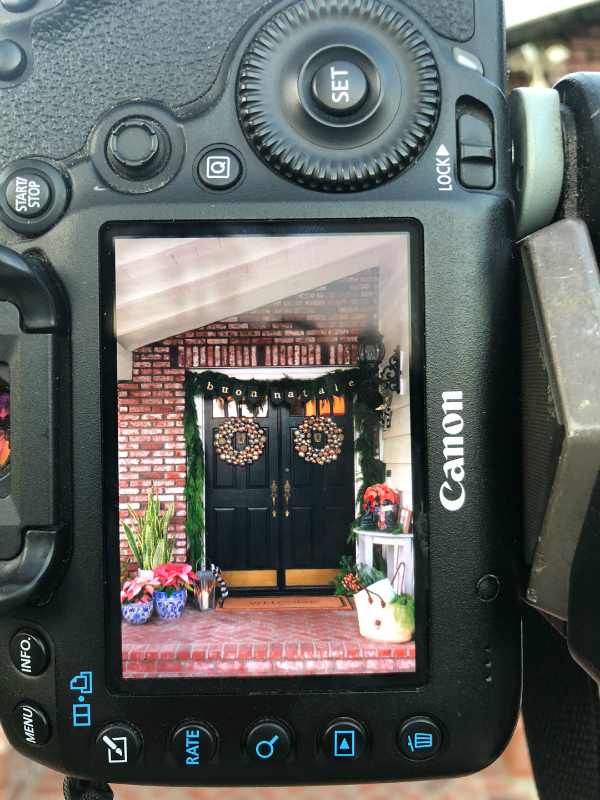 From photographer, Bret’s camera, you can see the setup of the front door vignette. 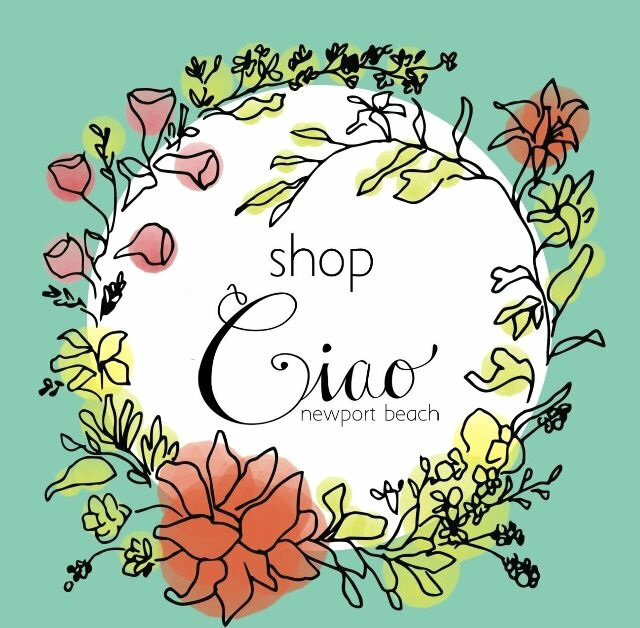 I made the “Buon Natale” banner a couple of years ago, but it’s the first time I’m using it over the front doors. I like how all the gold and black colors work together. The wreathes are a collection of silver, gold and copper Christmas ornaments that stand out nicely against the dark doors. Here I am in the dining room… oh, how I dislike taking photos! I’m much more comfortable behind the camera. 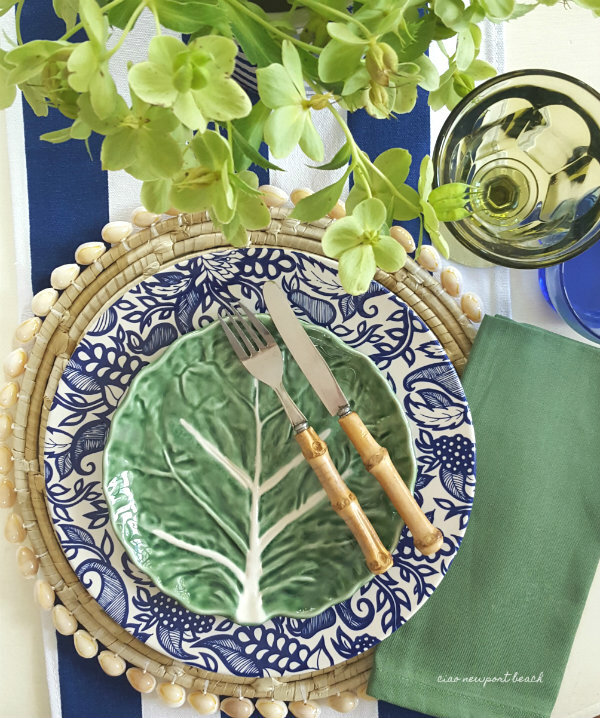 The dining room tablescape came together using my husband's grandmother's antique "Indian Tree" china. You'll get an up-close peek at it soon, but I love the pinky-red details on it. 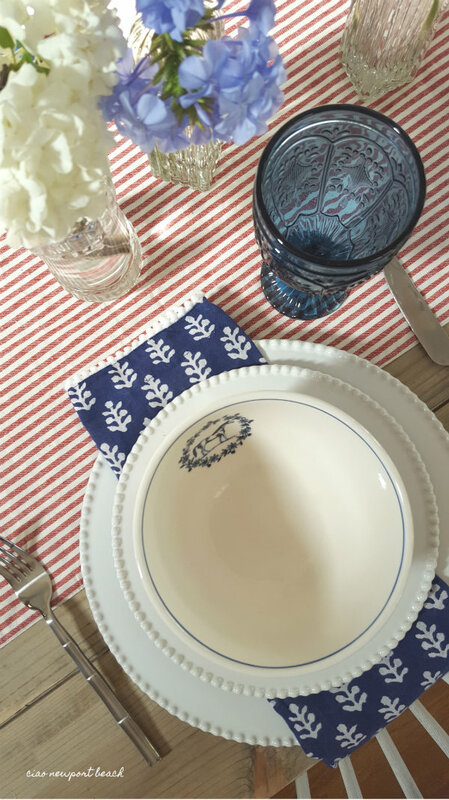 Serena and Lily napkins and raffia placemats were used to update the more formal look of the china. This photo is a little dark, but I wanted to share this look with you. 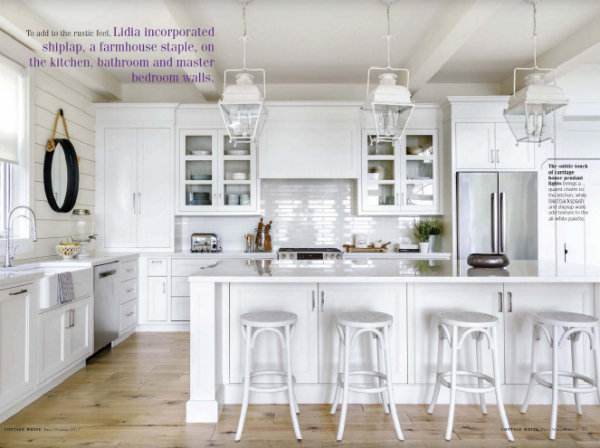 BTW, the chairs and pillow in the background are also Serena and Lily. 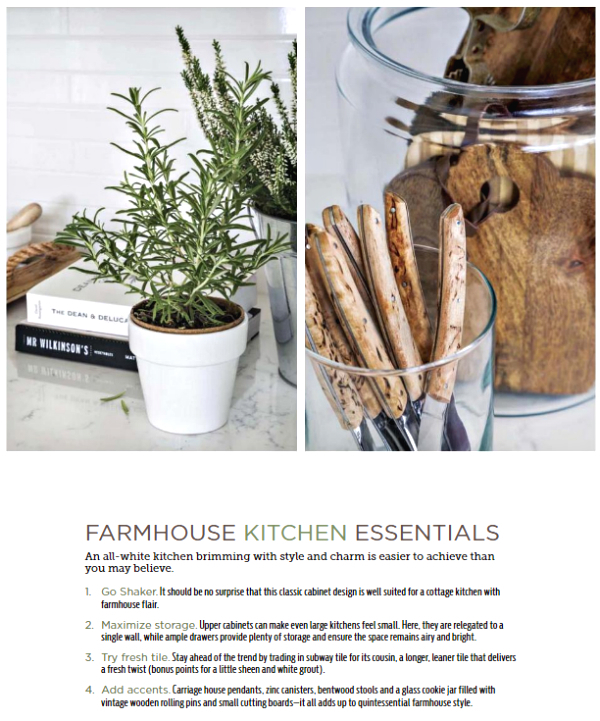 If you follow me on Instagram, you may have gotten a peek at my New Year’s Eve feature in the January issue of Romantic Homes Magazine. 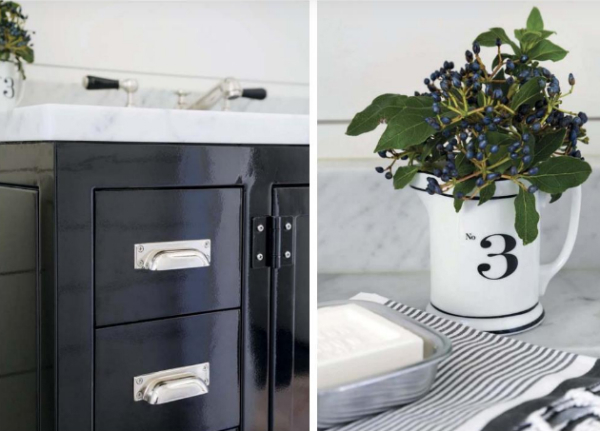 I've updated my favorite clock plate theme exclusively for Romantic Homes, and here's a little peek at some of the outtakes. Lots of glittery details were used for this partyscape! 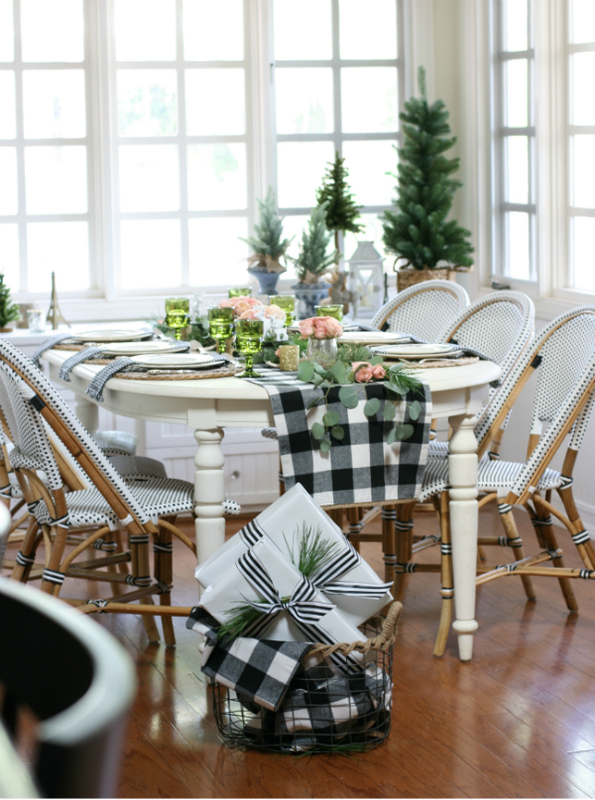 And of course, if you know me, we had to incorporate a lot of vintage details too! 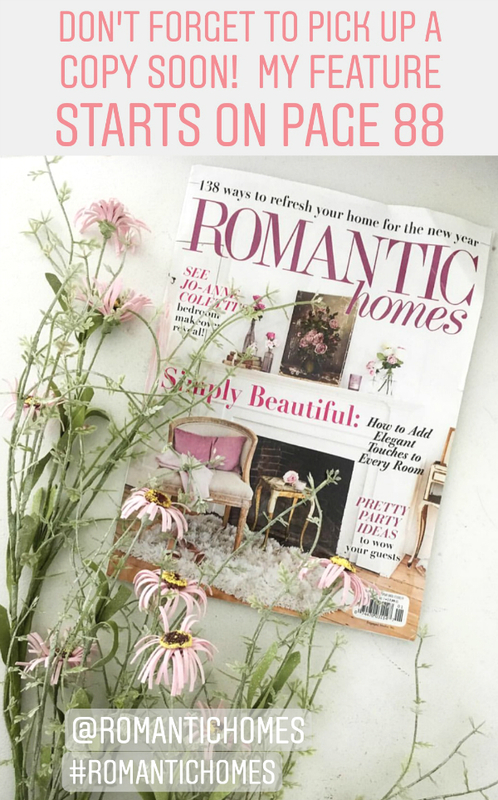 You can read my whole article and see all the best photos in this issue of Romantic Homes, so be sure to pick up a copy soon! I’m so looking forward to Christmas! I spent ALL DAY baking my favorite Christmas cookies yesterday, and I think I made at least ten dozen! 🍪Just little gifts for friends and neighbors! Today I’m starting on the Christmas pudding, which is really a cake that steamed and filled with all sorts of amazing fruits, nuts and chocolate! ...and for lots of fun extras, follow me on instagram!